At Century West BMW, our highly qualified technicians are here to provide exceptional service in a timely manner. From oil changes to transmission replacements, we are dedicated to maintaining top tier customer service, for both new and pre-owned car buyers! Allow our staff to demonstrate our commitment to excellence. Our service professionals have undergone special training to earn their M Certification. This means that they are qualified to work on some of the most impressive BMW models on the market. This special training on BMW M models gives them the expertise to work on world-class performance cars, but it also translates to traditional models as well. The extra care and attention needed to work on BMW M models is just as helpful on any other luxury performance vehicle, so the Century West BMW Service Center has some of the most helpful technicians around. Part of the joy of owning a BMW performance automobile is in keeping it running at peak form. When you purchase or lease a vehicle from Century West BMW, our team of mechanics will work to keep your vehicle running like the day you drove it off the lot. And while BMW might be our specialty, we are well-versed to work on any vehicle regardless of its brand or model year. That’s why drivers from Studio City, Glendale, Beverly Hills, West Hollywood, and Los Angeles have relied on our knowledgeable automotive technicians for years. 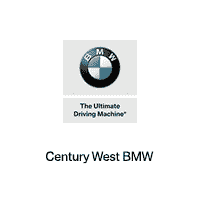 The Century West BMW mechanical team consists of certified professionals who specialize in everything from routine maintenance chores like oil changes, tire rotations, and brake testing to a vast menu of more complex service solutions such as diagnostic checks, muffler and exhaust systems, and steering and suspension tune-ups. If you are a BMW owner from in and around Los Angeles who is ready to protect your investment with the region’s foremost experts, we welcome you to schedule an appointment today by utilizing our online scheduling tool. Want to keep your new BMW running reliably, smoothly, and efficiently for years to come? We do as well, and that only requires visits to our BMW service and repair department for routine maintenance. Our technicians are skilled and experienced on all of our models, and they proudly serve the entire Studio City and greater Los Angeles, Glendale and West Hollywood area as well. For more detailed information about all the excellent services our maintenance department is capable of, fill out our contact form today. We will confirm your appointment in a timely manner, and you won’t waste any time waiting around for a car repair.